The subject property consists a modern ground floor retail premises constructed in 2004 as part of a mixed retail/office development. 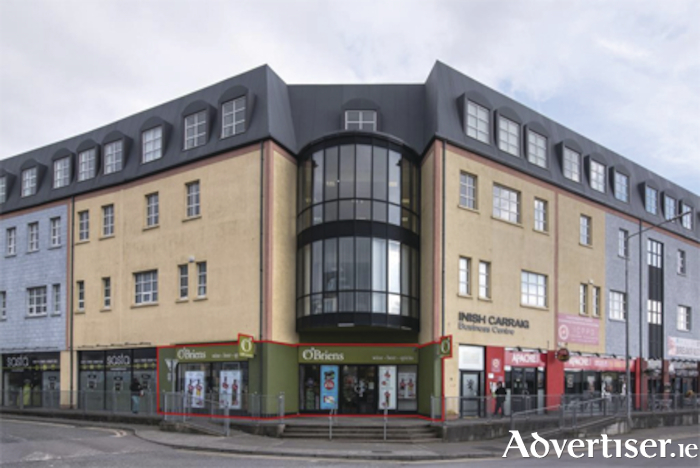 Inish Carraig is located in the heart of Athlone town and immediately adjacent to the Golden Island Shopping Centre, with its ample car parking. The unit measures approximately 200 square metres. The property is presented in good condition. The subject unit is currently on a 25 year lease, which commenced in October, 2005, with a current annual rent of €65,000 being paid. Current tenants will not be impacted by this sale. Call Sherry Fitzgerald O'Meara agent Ollie Moore on (086 ) 8595186.